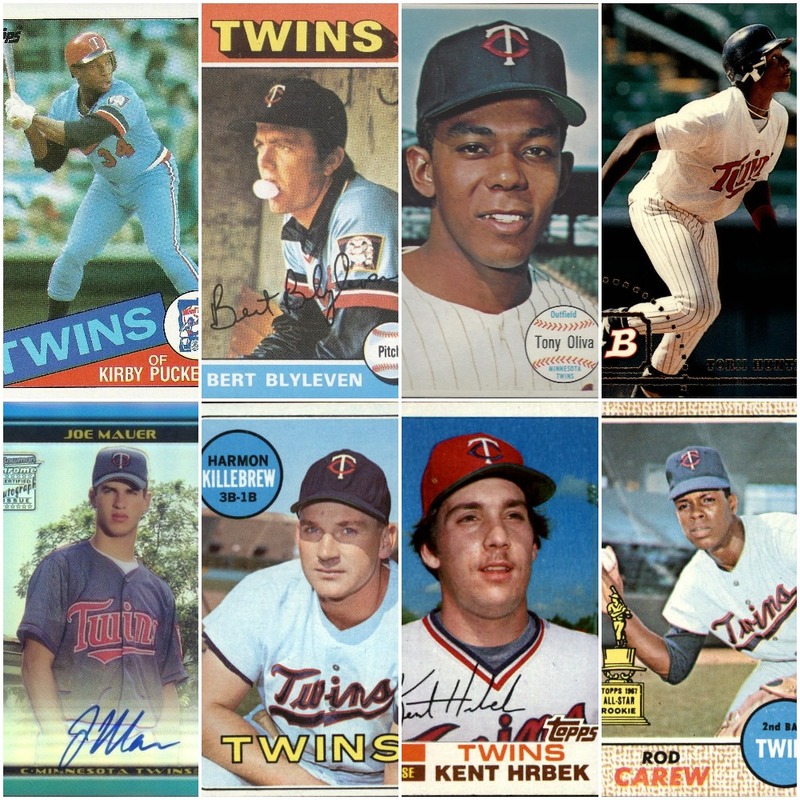 Do you agree with this all-time Twins baseball card team? As part of a promotional effort to generate interest in the Topps and Beckett brands, the two leaders in the trading card industry have teamed up on a project this baseball season aimed at determining all-time “most legendary” baseball card lineups for each of the 30 MLB teams. They’re releasing them one week at a time, and this week it was the Twins’ turn for a trip down baseball card memory lane. For the most part, I think Beckett and Topps got things right (though if this was expanded to other card companies like Fleer, Donruss and Upper Deck, there might have been worthy challengers). The most glaring omission is on the pitching side, where the selection criteria was limited to just one starter and one reliever. Blyleven is a Hall of Famer, but a list that doesn’t include Johan Santana, Jim Kaat and others leaves room for debate. You could also make a case for a Bob Allison card over Torii Hunter in the outfield. But Finkel said the biggest position player challenge with the Twins was Hrbek vs. Justin Morneau at first base. Morneau racked up more individual honors, including the 2006 AL MVP Award, but Hrbek was a homegrown player and a standout on two World Series teams. Indeed, a very young Hrbek is sporting the faintest mustache and has a thousand-yard stare in his card photo. Like many of the other 11 cards on the Twins’ list, the Hrbek card is from very early in his career — ones that tend to have more value and are therefore a bigger deal in the collecting world. The Mauer card is not only a rookie card but also features Joe’s autograph. You can get a better look at all the Twins cards and players — and see new ones for each team revealed each week — at Thirty Teams Thirty Weeks. “I think it ties the hobby to the nostalgia of the sport,” Finkel said.